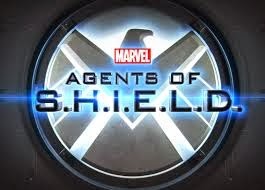 Agents of S.H.I.E.L.D: The missions of the Strategic Homeland Intervention and Enforcement and Logistics Division. 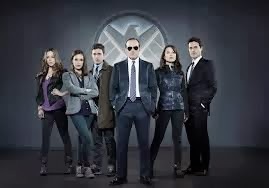 Agent Phil Coulson is played by Clark Gregg who we all remember from Marvel’s Avengers. Opening has Gunn from Angel with his son looking at toys of the Avengers when an explosion occurs. He then runs to see if anyone needs help and uses his special powers and scales the wall by punching holes into it. That’s a pretty cool power. He jumps out of the building, saving the woman, and lands with no problem. He then blends back into the crowd. I like that set up. He understands that he needs to keep his powers a secret. The next scene has Agent Ward essentially stealing some type of package. Of coarse he is caught but he then fights his way out. I enjoyed the fight sequence here. Agent Grant Ward is sitting in an interrogation room at the field office and he explains the concept of S.H.I.E.L.D. He is introduced to Level 7 and learns Coulson is alive. His death was faked to motivate the Avengers. Apparently the unregistered hero, Mike Peterson, is now a concern. They started a new task force and want Ward to lead the group. Ward apparently does not work well with others. “eye roll” There is always one in the group. Apparently there are some secrets being kept from Coulson. I wonder what it is, or if his death was a little more real then he knew. Skye found the hooded hero, Mike Peterson. She informs him that he is in danger in regards to SHIELD. Looks like Skye’s power is to multiply as she made two packets of sugar into three. She almost makes the “with great power” speech. That made me giggle. Great reference. She swiped Mike’s ID and apparently has her own agenda. 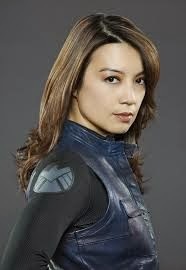 Coulson speaks to Agent Melinda May (Ming-Na Wen). 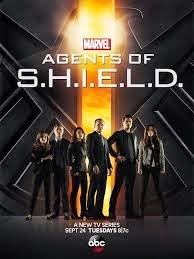 Coulson is really trying to get May to sign on to his new task force. Ward walks up to Leo Fitz and Jemma Simmons. Apparently they fight and go back and forth. There is great banter between the two and adds a little bit of comedy. They are on a big plane which is a mobile unit for SHIELD. May is the pilot for the special awesome plane. SHIELD grabs Skye. She is apparently part of the Rising Tide. They believe that Skye blew up the building to draw out Mike. Mike apparently has some weird thing on his arm and is talking to a doctor on the phone. Apparently his powers are manufactured with a centipede type item injecting something into his forearm. The agents check out the building and find that it is a lab. The agents use droids and scan the building and find a surveillance camera and compounds that are not from Earth that look just like the item on Mike’s arm. The comedy that ensues after Ward is given a truth serum does not feel forced. 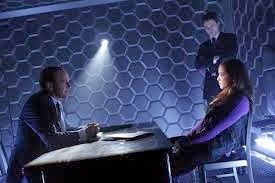 The scene is well done and well written overall and Skye is given the chance to interrogate Ward. Mike loses it and attacks his old supervisor. He apparently has gone to the dark side. It is such a shame that he flipped like that. I was hoping that he would be the good guy. He has a son to take care of. Skye is faced with footage of Mike’s outbreak. They figure that Mike was manipulated into the strength that has corrupted him. They are going to work to save him. I am happy to hear that he isn’t a lost cause. Apparently the lady he saved is the doctor and he says he is falling apart. She says that the situation is a disaster and he says it is an origin story. Really!!!! That is too cliché for words! Mike shows up and jumps May. He climbs into the van with Skye and tells her to drive. He also has his son with him. Looks like the other guy like Mike was the bomb in the building and now Mike is one too. Looks just like Iron Man 3. Sky is essentially deleting Mike’s existence. Fitz and Simmons are trying to find a way to stop Mike from blowing up. Mike runs into a train station and in comes the bad guys. Mike grabs Skye and wants to know where is his son. He falls after taking a shot. Coulson faces Mike and puts down his gun. Mike is having a break down. He says basically humans are bugs and the people with powers are giants. Awe Coulson has a message about how it matters who someone is. Mike takes a bullet to the head with a special bullet from Fitz and Simmons. It neutralizes the toxins. I thought for a second there they killed him but I am happy to learn that he turned out okay. Skye decides to sign on to be a part of SHIELD. Lola apparently has flying powers. It reminds me of Back to the Future. 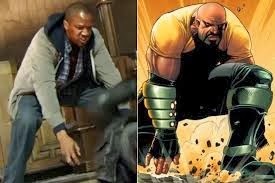 I like that they connected the Marvel Universe together. It was funny to hear some of the cliché super hero lines but it makes it a believable super hero tv show. If I did not hear the cliché lines I would be concerned. I was not offended by anything in the show. What I mean is that my enjoyment of the Marvel Universe did not feel like it was being personally attacked. The show flowed well overall and the visuals were well done. The Mike story was wrapped up too easily. I wonder if each episode is going to be like this. In other words each episode wraps up with the special power person neutralized or turned bad. 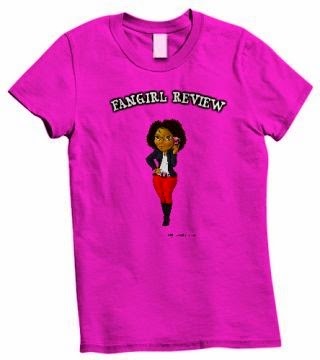 I overall enjoyed the series and will continue to watch it.